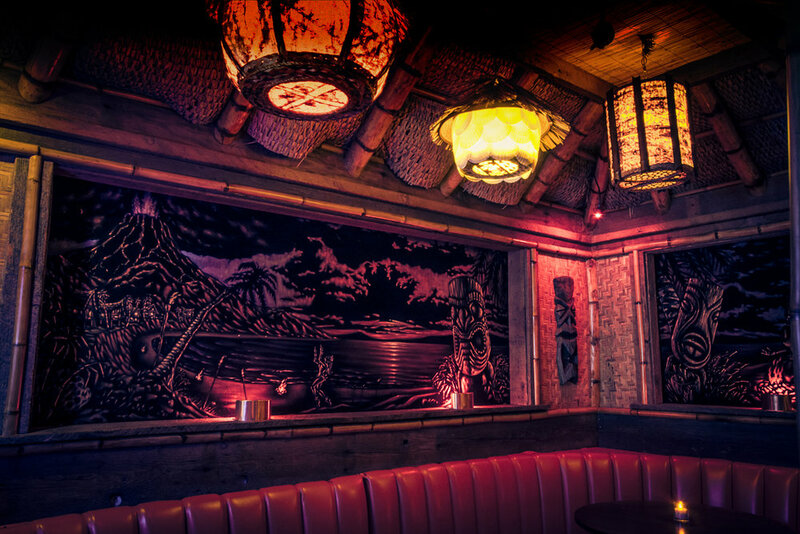 Immerse yourself in a tropical adventure and enjoy a robust Tiki experience the way it was meant to be! 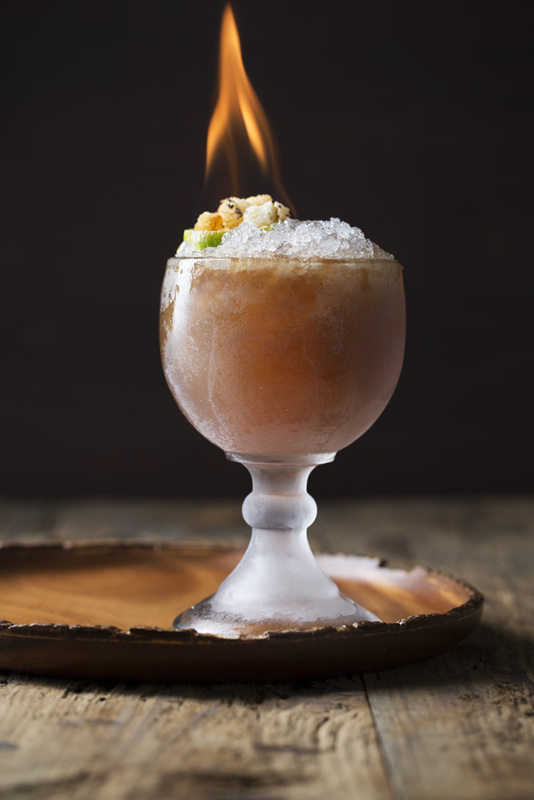 Hale Pele - "House of the Volcano Goddess" - is a glimmering pearl in Portland's sea of food & cocktail culture. We proudly feature remarkable classic and contemporary exotic cocktails made with fresh juices, premium spirits, and house-made syrups. Our outstanding island-inspired small plates featuring local ingredients will delight and satisfy. And our warm and hospitable staff will ensure your journey to our distant atoll is an unforgettable one. But be warned, no true Tiki experience is complete without a little danger: listen for the distant thunderstorms growing closer and the fiery volcanic explosions... many surprises await you deep within Hale Pele. For those are who seeking escape, look no further than Hale Pele - mundane worries melt away as you pass through these doors. Should you eventually choose to return to the world outside, you will do so refreshed in mind, body, and spirit! 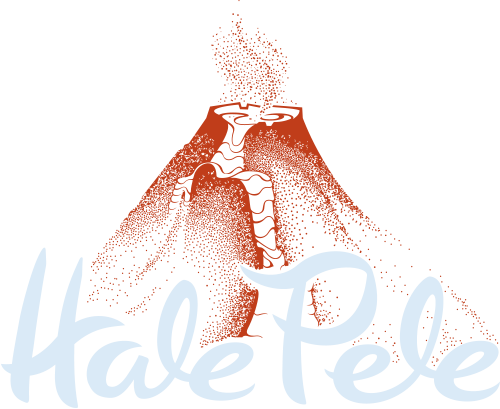 And now, we’re excited to bring our magic to you with our brand new Hale Pele catering services - perfect for special occasions both large and small. Hale Pele is proud to celebrate its fifth anniversary in 2017, and it’s our continued pleasure to serve the Portland community. Watch for new drinks, décor, and special events all year long as we celebrate! Read what the press has said about us and explore our new website to begin your voyage. You do not need a reservation at Hale Pele! The bar and main floor tables are first come, first served. However, if you're interested in making a reservation for a larger group, our Chieftan's Hut is a private booth that seats up to 12 people and can be reserved ahead of time. Forged by the hands of Pele, our super-staff has undergone rigorous training: lava-drinking, fire-walking, smoke monster-battling, and hot coal-eating, all in the interest of making your visit to Hale Pele memorable. 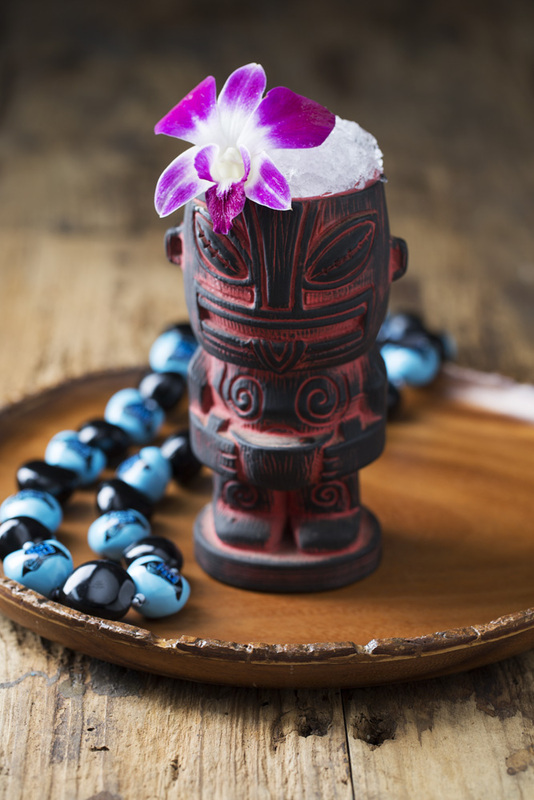 From the rich depths of tiki bar history and the soaring talents of Hale Pele’s own bartenders, we proudly feature over 50 remarkable exotic cocktails. Made with fresh juices, premium spirits, and house-made syrups, each is a balance of sour, sweet, and strong designed to delight your senses and take you to paradise in a glass. New adventures abound, although you can always return to those comfortable well-explored corners whenever necessary. The original, made with a blend of rums, luscious curaçao, and orgeat. Slightly strong, slightly fruity, simply the best. 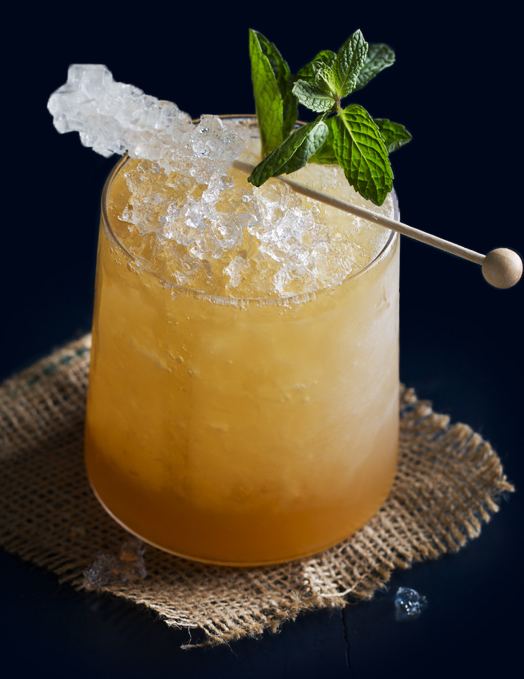 Aged rum, gin, passion fruit and a few secret spices make this unique, quenching and flavorful cocktail. The mug can be yours to take home! The original 1934 recipe for the drink that started it all. Strong, dark and mysterious! Limit two per customer. Ginger beer, bourbon, gin and lime. Simply smooth and amazingly refreshing with a crisp bite. The original potent potable from the islands blending overproof rum, falernum and lime. Let it sit a moment, it just keeps getting better. Get ready for blastoff with this blend of aged rums, citrus, cinnamon and Falernum. Served flaming! Bring some friends and grab a straw! Our own take on the classic communal cocktail featuring a potent blend of rum, citrus, pineapple, and a secret blend of tropical spices. Garnished with fresh fruit, beautiful flowers, and plenty of FIRE with a cinnamon. KA-BOOM!!! You'll be humming after a few sips of this nectar. Gin, overproof rum, spices and grenadine are topped with soda for a rewarding treat. A soft glow of gin shines down on lime juice, cream of coconut and ginger syrup; refreshing coconut water lends a nutty finish. Sierra's prize-winning cocktail from the 2015 Iron TikiTender competition! Featuring rum, lime & pineapple juices, vanilla, ginger and cold brew coffee. See for yourself why this stiff drink beat the stiff competition! * Drink Strength: ▲ - Lightly Delightful, ▲▲ - Pleasantly Punchy, ▲▲▲ - Quite the Stinker, ▲▲▲▲ - KA-BOOM!!! No bar in Portland would be complete without a robust happy hour. Visit us between 4 and 6pm every day and treat yourself to an entire menu of $6 tiki cocktails, as well as several discounted food items! Our small plates will take you on a tour of Asia and Polynesia, inspired by the culinary staples of island culture. We always feature fresh meats and vegetables from local purveyors. You’ll be pleasantly surprised by the level of variety and quality our tiny kitchen can produce. And since our menu is such a natural pairing with our cocktails, you’ll discover why so many come for the drinks but stay for the food! Traditional Hawaiian appetizer: raw ahi with wakame salad and furikake rice. We use only the freshest sushi grade fish flown direct from Hawaii, so Poke is subject to availability. 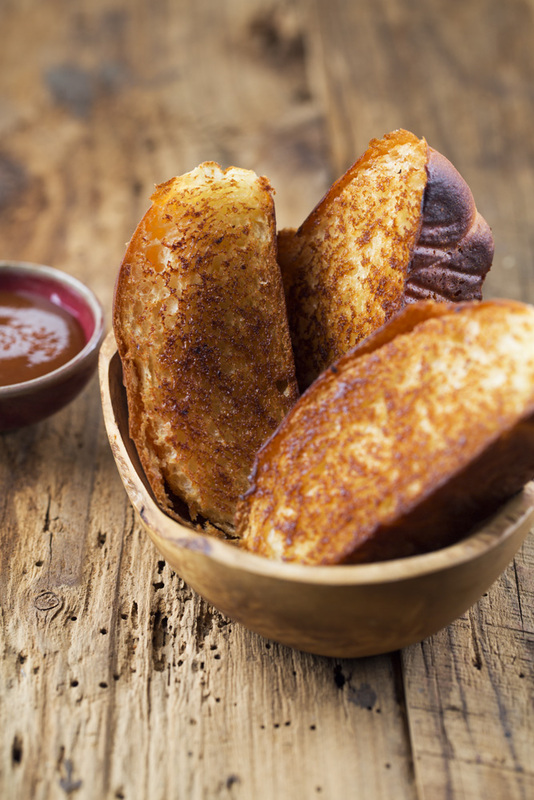 Buttered, grilled, and served with guava jam made with ginger syrup. It‘s a Hale Pele favorite! Hawaiian salted pulled pork served on buttered & toasted Hawaiian bread, topped with a creamy Hawaiian coleslaw. 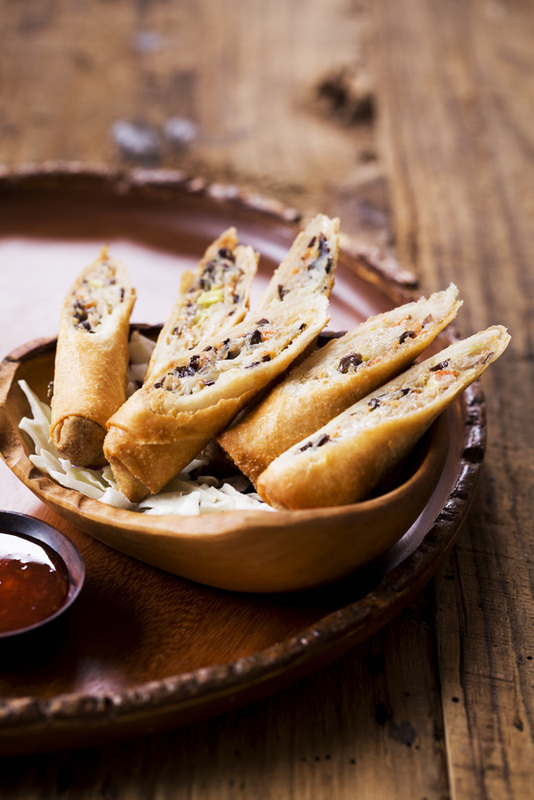 Spring rolls made w/ pork & veggies served w/ sweet chili sauce. Marinated Korean BBQ Short Ribs. Eight bones, barbecued and glazed, sprinkled with green onions. Rice Noodles stir fried with onions, red peppers, cabbage & basil. Vegan sauce option available. Moist yellow cake with a pineapple ring and a Bordeaux cherry on top. Served slightly warm with a dollop of whipped cream. Ask for a Water Bearers Guide to begin your journey. Our staff will mark your completed cocktails from your guide as you advance. Once your list of cocktails is complete, you will be recognized as a CHIEF WATER BEARER of the ANCIENT ORDER OF WATER BEARERS. You will also be granted a custom kukui nut necklace, which entitles the bearer to a 20% discount on their food and drink every Sunday! Ask for a Fire Drinkers Guide to begin your journey. Our staff will mark your completed rums from your guide as you advance. Once your list of 50 rums is complete, you will be recognized as a MASTER FIRE DRINKER, and counted amongst the ranks of the LOYAL ORDER OF FIRE DRINKERS. Your achievement will be rewarded with a custom engraved medallion, which entitles the bearer to a 20% discount on their food and drink every Sunday! We offer a variety of cakes for your party, available by pre-order using the reservation form below.. Cake is not available unless it is pre-ordered at least two days in advance. You may bring in your own cake, we will charge a service fee. 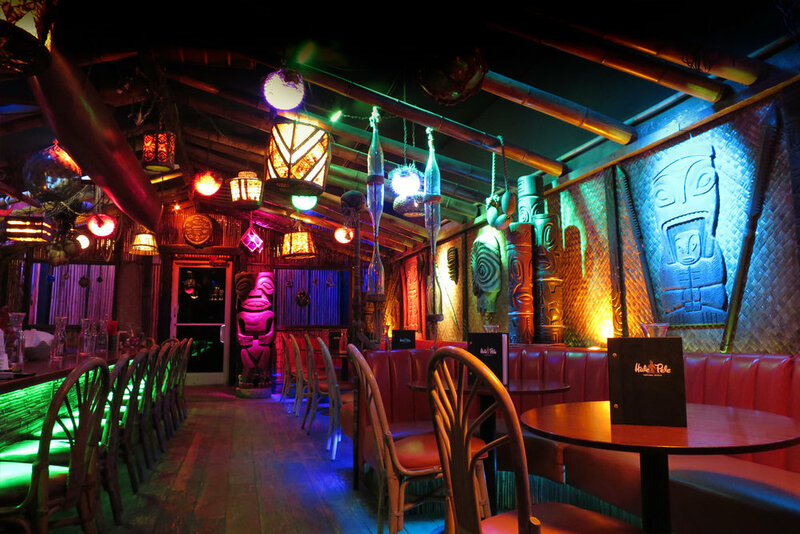 bring our full Tiki bar experience to your next event! We offer full-service catering, including food, drinks, and plenty of Aloha! Leave the planning and prep to our dedicated staff, and treat your guests to a special party experience that they won’t soon forget. We’re ready to handle any event large or small. Our custom portable tiki bar and exotic décor will transport your guests to an island wonderland. 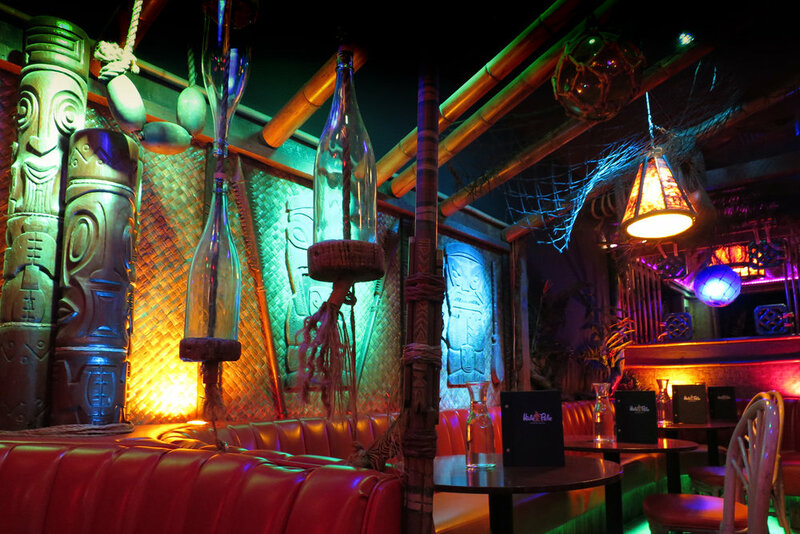 Our renowned exotic cocktails and island food options are the same great quality you know and love from Hale Pele, (plus a few items exclusive to our catering menu!) We can even come equipped with a frozen drink machine AND a soft serve machine for those Dole Whip treats we know your guests will love. Get more information about our available catering menus and services. Request a free quote today for your next tiki event! Discounted drinks and food for early customers! Served until 6pm daily. 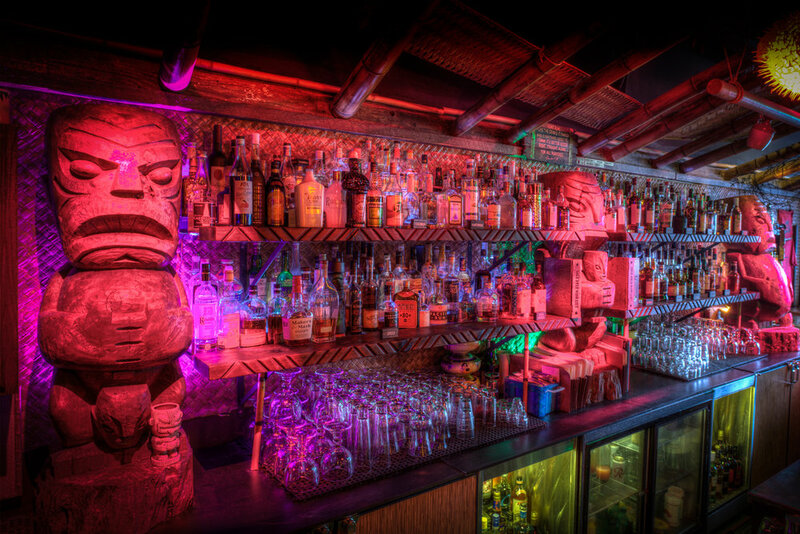 Hale Pele is honored to be Portland’s top Tiki destination! You can find press about Hale Pele in the Marie Claire, The Oregonian, Supercall and other print and online publications.